Not all documentaries are created equal, especially when it comes to ones focusing on the world of gaming. It’s rare that a video game documentary is something I can recommend, as many don’t do the subject matter justice (See my review of “Video Games the Movie”). However, occasionally we’re graced with some really excellent film making the tackles the subject in an interesting and well thought out way. 2 Player Production’s Double Fine Adventure is that rare film. I say film, but it’s actually closer to a show as the piece was originally broken up into 20 episodes that were released as the game’s production went on. As a whole, DFA chronicles the development of the Double Fine point and click adventure game “The Broken Age”. From the game’s initial Kickstarter all the way until the game ships, you see the whole process on film. What sets DFA apart from other films/series of its type is just how true it is to the development process of a video game. It’s not all glitz and glamour kids, making a video game is a difficult process that has emotional highs and lows. Movies like “Indie Game The Movie” focused on this as well, but DFA has the unique perspective of showing the ins and outs of an established video game company that works and lives game to game. Despite being a fairly known development company, Double Fine isn’t Naughty Dog, Nintendo, or Capcom; they’re a considerably small company that has a lot of the same struggles that independent developers face. To give a little background on the subject matter, Double Fine Productions was founded in 2000 by ex-Lucasarts developer Tim Schafer, who created many of the company’s amazing point and click adventure titles such as Grim Fandango and Full Throttle. Based in San Francisco the company has developed several cult hits including Psychonauts, Brutal Legend, and Costume Quest, but had not returned to the point and click genre until the announcement of the Kickstarter campaign. The first episode chronicles the initial Kickstarter that funded the game, which raised over 3 million dollars over the course of one month. From there, the piece shows viewers how a game goes from inception to completion from stage to stage. This is where the piece becomes essential for anyone interested in video game design or the academia of gaming. Each episodes chronicles a stage of the video game process, for example there’s an entire episode where the team brings in art consultants to draw out facets of the worlds to motivate and help Tim visualize the world he’s trying to create. Slowly but surely you can see the game take form, which is even more interesting if you have already played through “The Broken Age”. Along the way the documentary introduces you to key members of the Double Fine team, whom the viewer really gets to know and empathize with through the course of the years that the documentary was made. When the team fails to miss a deadline the viewer feels the emotional weight that the team themselves are feeling, as over the course of the episodes you become more and more invested in this game being developed. 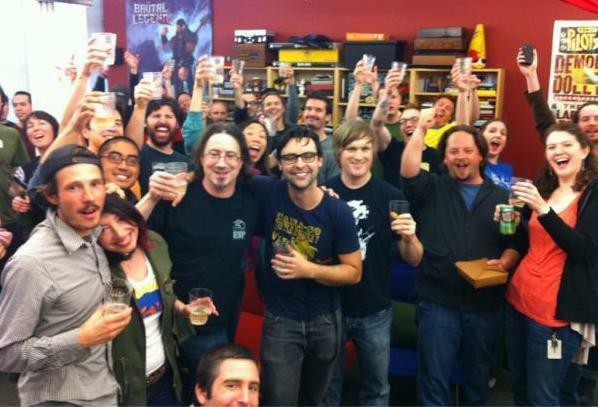 Likewise, when Tim first previews the game to a crowd of fans you feel the emotional high that Tim and his team felt in that moment; start to finish, the team at 2 Player Productions do an amazing job of documenting the humanside of game development. This type of documentary may not have worked with all developers, but Double Fine is home to such a devoted and creative group of individuals that you create a relationship with them over time. The main man himself, Tim Schafer, really exemplifies this more so than anyone else; you get a very good sense of just how much he truly loves gaming (especially the point and click adventure genre) and the fans that have placed so much support in him and his staff. It’s an underdog story through an through, as the film shows how a small development company can make a successful in a genre that was deemed financially dead by the gaming industry. 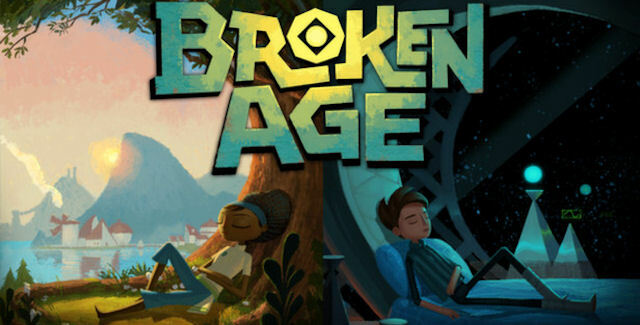 As I mentioned in my pieces on Kickstarter and Crowdsourcing websites, games like the Broken Age show that the conventional methods of getting a game developed are no longer the only options: We all now have a say in what games we want to see developed and made. 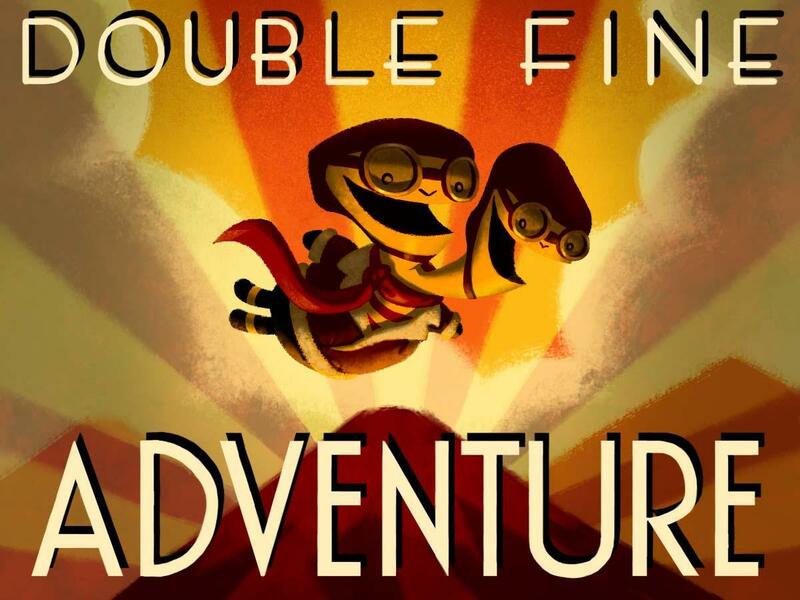 To Summarize: “Double Fine Adventure” is a must see for anyone interested in the gaming industry. It may very well be the most true to life look of what it’s like to develop a game in this current gaming climate. Shot beautifully and with care, the film will change your perception of what goes into the games we play. Go check it out, and while you’re at it play the Broken Age. It’s also a terrific game. You can pay to see the whole film here, or you can watch all of the episodes without bonus features on Double Fine’s Youtube channel. This entry was posted in Documentry, gaming, video games and tagged Double Fine, Gaming, sociology, Video Games. Bookmark the permalink.